The Mississippi Department of Agriculture and Commerce is now offering the National Organic Certification Cost-Share Program for Mississippi organic producers and handlers receiving certification or continuation of certification by a USDA accredited certifying agent. Funding for the program will be through fiscal year 2018. Individual organic operators are eligible for reimbursement of 75 percent of their 2018 (October 1, 2017 through September 30, 2018) certification costs up to a maximum of $750 per category of certification. The National Organic Certification Cost-Share Program currently recognizes four categories of certification eligible for reimbursement: crops, wild crops, livestock, handler and State Organic Program fees. To be eligible for reimbursement, applicants must provide proof of certification issued by a USDA accredited certifying agent, a reimbursement form, an itemized invoice for certification-related expenses, a IRS W-9 form and documentation of the payment made (In the form of a cancelled check). Applicants must be a organic producer and handler located in the Mississippi. Funds are available on a first-come, first-serve basis until the funds are depleted. Operations may receive one reimbursement per year. 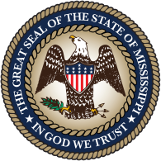 For more information about the cost-share program, contact Michael Lasseter at 601-359-1120 or michaell@mdac.ms.gov.